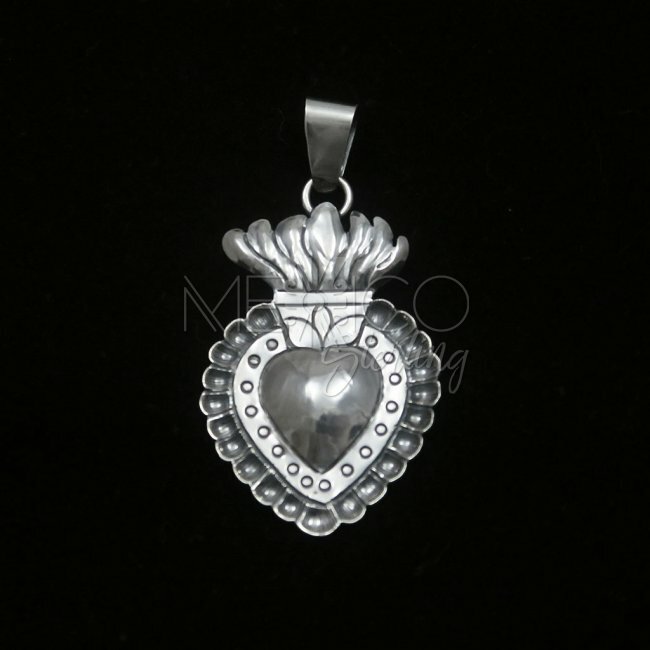 Mazahua Silver Milagros Heart pendant [PND3398] - $44.00 : Mexico Sterling Silver Jewelry, Proundly from Mexico to the world. 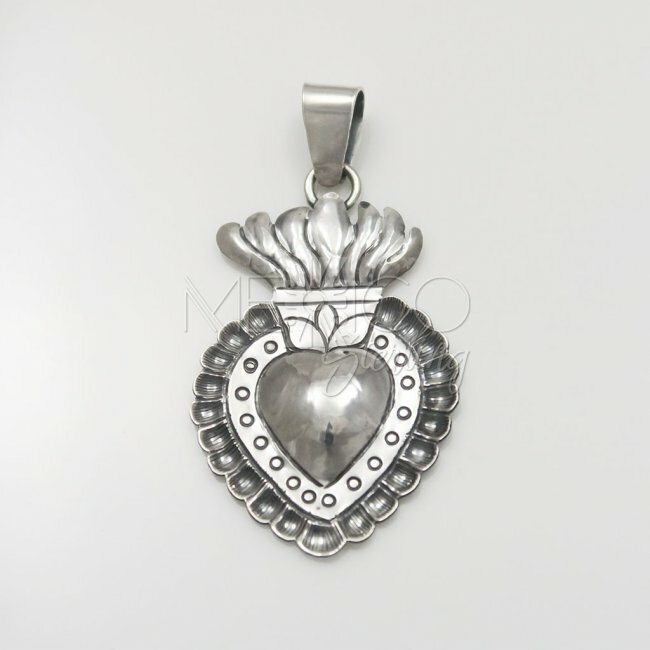 Dimensions: W: 1 1/8" L: 2"
Mazahua silver heart pendant with a charming well known Mexican look. 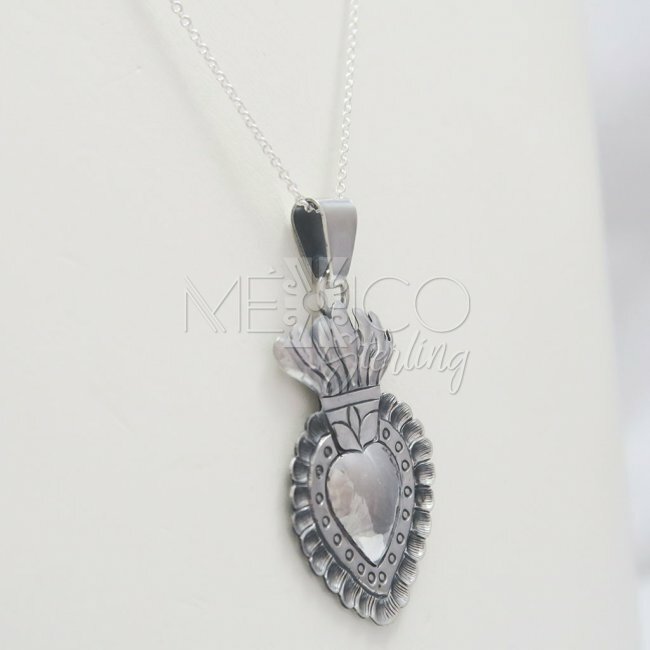 This nice and mystical piece carry a special meaning for some religious people in Mexico. 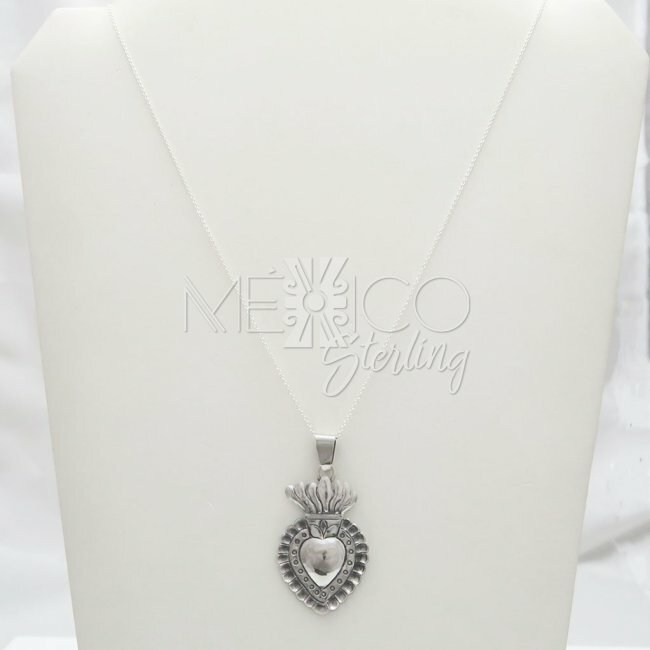 I mentioned the name "milagros" in my title because the elements used on this pendant are milagros or miracles in English. That is what some catholic church going, devotees call these little figures. 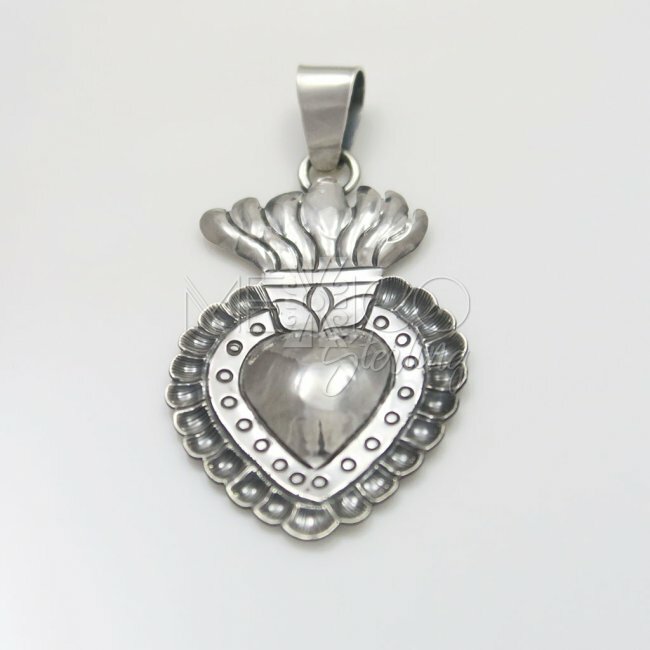 The tiny hands, the winged or fiery hearts, some of these shapes are hung in mostly red velvet boards close to the churches' altars, money collectors or any candle praying sections of the church. 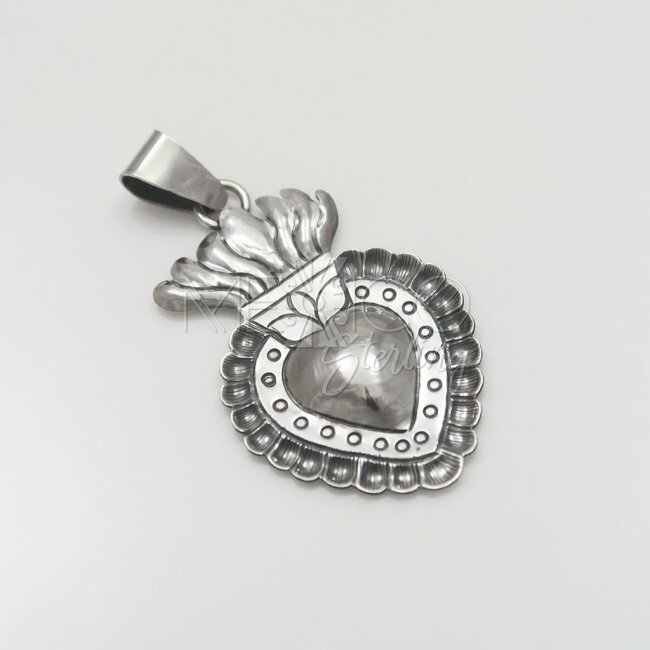 This silver pendant carries a nice combination between these religious figures and a more charming, feminine motif, that makes such a wonderful ornamental piece of jewelry. 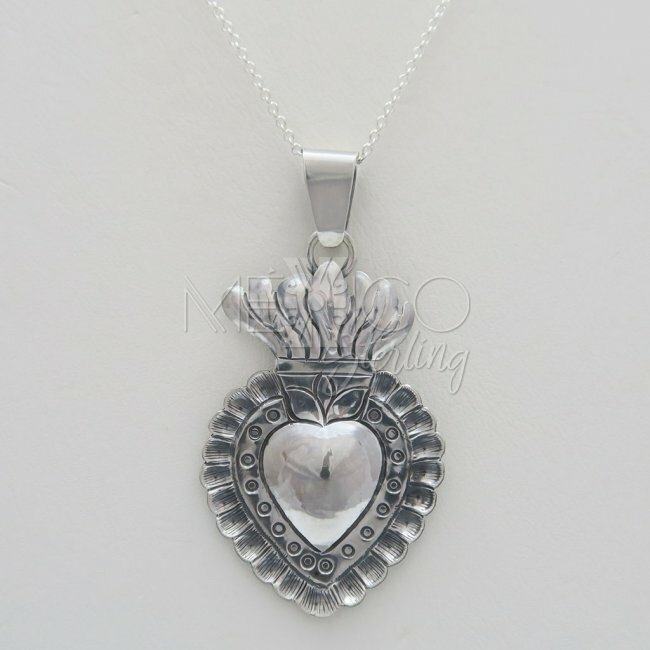 If you believe in good vibes and positive energy, this piece is perfect for you, since it is a protective symbol that you will carry close to your heart or somebody special to you. 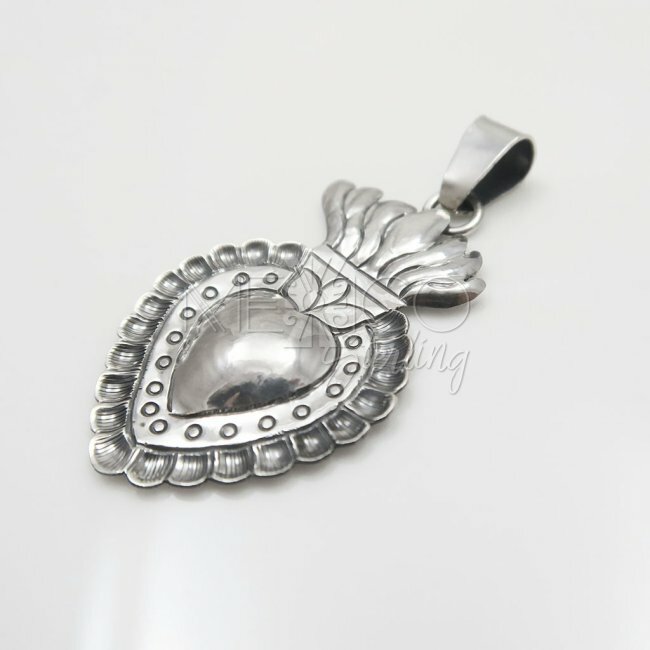 It is also a completely handmade, artisan piece with excellent workmanship. 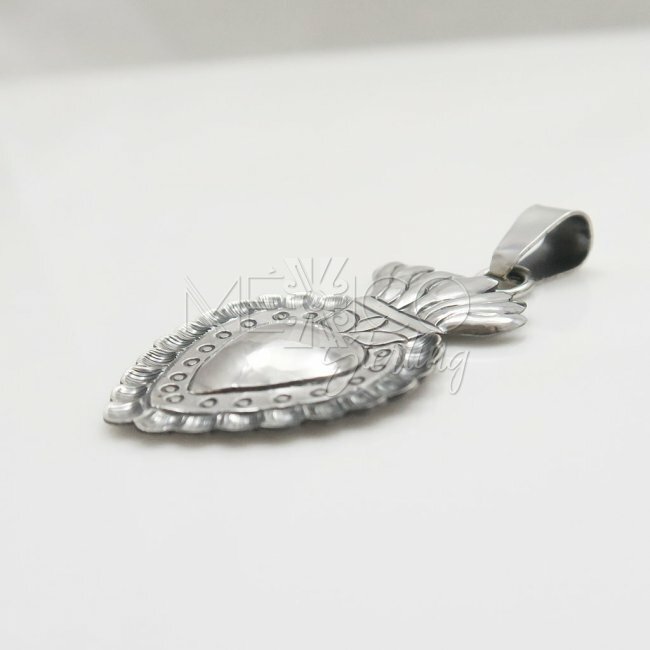 It is also a thin and delicate piece, you can see that in the additional photos. But it is still sturdy and well built. Please take a look at the extra photos, for more details on this piece.